Day Fifteen: OMG, Barack Obama is coming over because he knows you make awesome vegan food! What are you going to make? It’s a classic technique of students learning English as a foreign language: tell them they’ve made a mistake, and they immediately say, “Oh, but it’s fine in American English.” More often than not, what they’ve said is not fine in any approximation of English, but they love having that sneaky little possibility to question my authority. In fact, teaching English as a foreign language to students immersed in Hollywood films and American song lyrics, I often find myself up against American English. “Why did you spell ‘colour’ with a ‘u’?”, they innocently ask me. “Why did you say ‘vitamin’, not ‘v-I-tamin’?” they wonder. “Should I say ‘torch’ or ‘flashlight’?” On the defensive, I sigh and jokingly tell them that British English is always, always better. Nervermind that the spelling in American English more closely resembles the actual pronunciation of the words: we didn’t intend to make this easy for you! American English has become my nemesis. The one thing I will allow the Americans, though, is that they get their pancakes spot on. 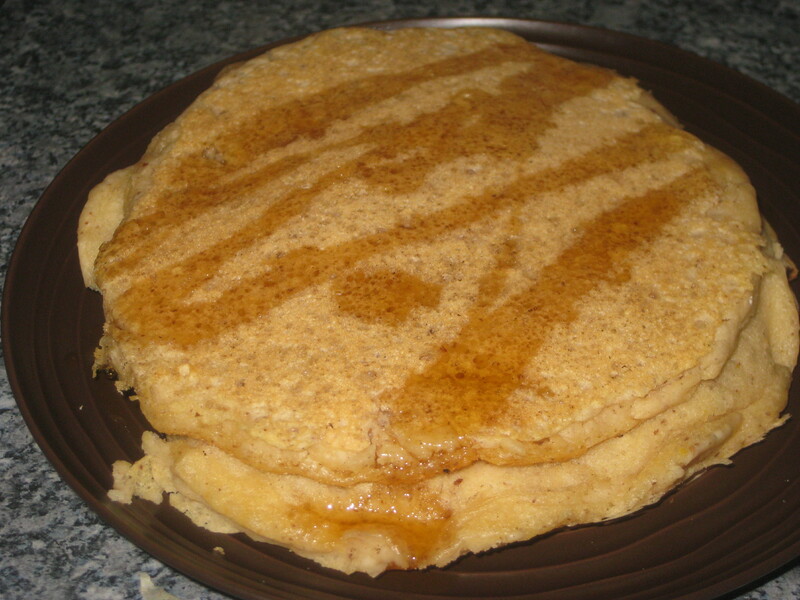 So, if Barack Obama were to pay a visit, I would serve him up some wonderfully thick and fluffy American-style pancakes. But which recipe to trust? 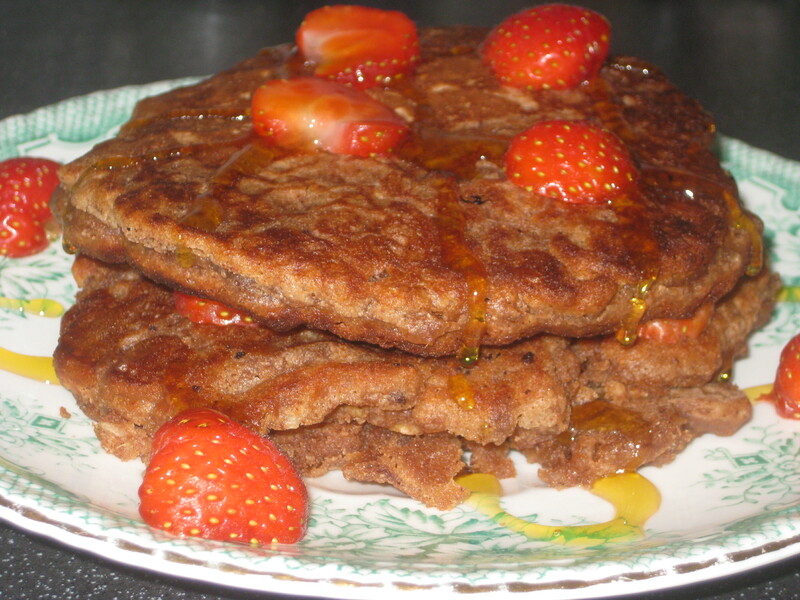 The first ones I tried were the Fluffy Pillow Pancakes from Isa Does It, which I now usually make with chocolate chips. I made them significantly bigger and flatter than the great Isa, but that just meant there was more to love! 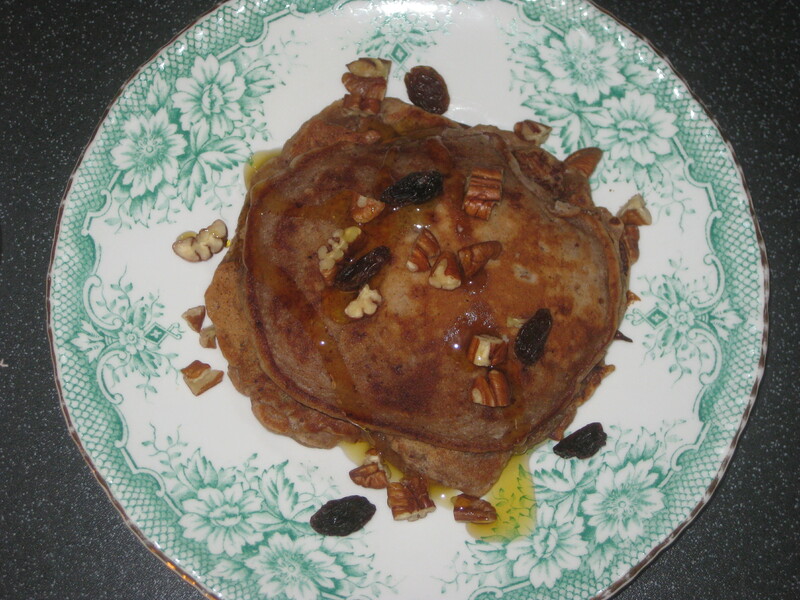 Equally successful were the carrot cake pancakes, from the same book. They take a bit more effort (is grating carrot not the worst? ), but are definitely worth it. I basically rotated those two recipes, until I delved into Vegan Secret Supper for my cookbook challenge. I used two different waffle recipes to make lovely thick, flavoursome pancakes. The double chocolate ones are of course decadent, but the peanut butter oat pancakes are my favourite: that sticky smack of peanut butter, along with a hint of chocolate from the cocoa powder. Pancakes remain my ultimate indulgent breakfast. Fit for a president? Why not! 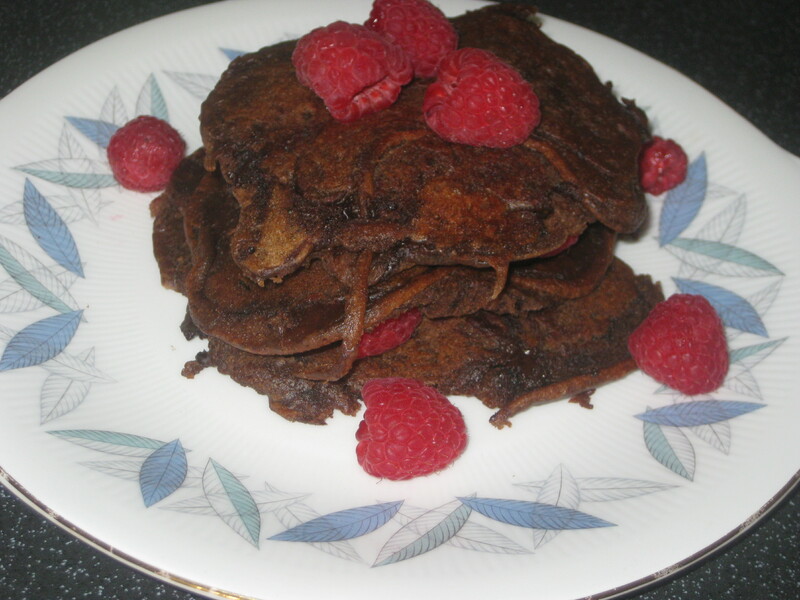 This entry was posted in Cookbooks, Vegan Mofo and tagged vegan breakfast, vegan mofo, vegan pancakes. Bookmark the permalink. A pancake feast fit for a president! Wow, you have definitely mastered the art of cooking pancakes. I need to get over my fear of them, these pictures are inspiring! I wouldn’t call it “mastered”, but thanks! I still have a great fear of crepes, but I’ve heard that’s at least 75% about having the right pan. This is a great take on an American classic. I didn’t even realize Vegan Secret Supper had waffles and that waffle batter could be used as pancake batter but makes sense, doh! In Canada we use colonial English but I still can’t get over how Brits/Aussies say ‘aluminum’ I’ve definitely been Americanized on that word! And I think ‘aluminum’ sounds crazy the American way! I think I must have read in one of Isa’s books that you can use waffle batter to make pancakes instead, but this was the first time I tried it – it worked really well! I think Barack would definitely be pleased with this pancakey spread. I know I would – definitely more to love!